In this wide-angle knockout match, the SMC Pentax-DA 12-24mm F4 faces the SMC Pentax-DA 10-17mm F3.5-4.5 Fisheye. 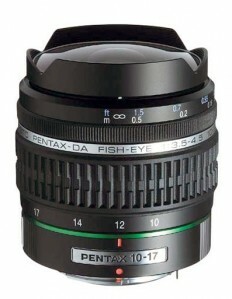 DA10-17 FE is very versatile, since you can remove most of the FE effect by shooting at 17mm. It goes wider than the DA12-24 and it's more fun. I also prefer the colors from it - almost as good as the DA15. I have six essential lenses. This lens is number 7. I wouldn't want to do without it - especially since none of the others can go wider than 16mm. All but one of the "essential six" are * lenses, so you can see I think highly of the DA10-17 - just narrowly missing that group. I have both, the 10-17 for about 8+ years and the 12-24 for about 6+ years now. The two lenses are actually complementary - in terms of Angle of View. I had to go with the 12-24, as the 10-17 is more of a specialty lens. This is a tough one for sure. I haven't yet decided which one to get! so no idea from me. I've had some great pictures from the 12-24. I've tried the 10-17 but couldn't really justify a lens that would probably only get occasional use. It is my most used lens. It produces some very good results. It is a good lens but it is not a great lens and it is currently too expensive. Autofocus is clunky. Out of all my lenses the one I really need to be weather resistant is the wide zoom and it isn't. It needs replacing now - the wide zoom has been on the roadmap for ages and the Tokina replacement for the Tokina on which the Pentax is based has been out a long time too. 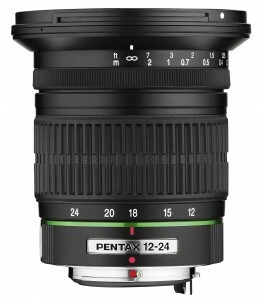 The greatest Pentax lens needs to be a great lens. It needs to have Pentax DNA too. Neither of these stands an earthly in the competition. The FA31 isn't quaking in its boots. Voted 12-24 as it has served me well. I use both. I use the 12-24 much more on account of the rectilinear reproduction, and the 10-17 being more novelty/creative. Both are sharp, contrasty and irreplaceable for their FLs. Hard to decide, but I go with 12-24 basically because of utility. I've own the DA 10-17, and used to own the DA 12-24. The 10-17 has become one of my favorite lenses. Even though I don't use the 10-17 all that often (it is rather a specialty lens), I've sold more images from the 10-17 than any other lens that I own. In terms of numerical specs, it's not that great a lens (Photozone gave it only two stars in their ratings). But in terms of actual images it produces, it's stunning, with color and contrast very close to DA limited performance. The DA 12-24 is also a very good lens. It's sharper than the DA 10-17, but I think the 10-17 produces slightly better looking images (it's not all about sharpness). My vote goes to the 10-17. I prefer the 12-24. The fish eye projection (albeit not too bad at 17mm) makes the 10-17 not as useful for my style of shooting. Why haven't you explained to all those idiots who bought your DA10-17 photos that it really isn't that sharp, and you have the test charts to prove it?! They are both very good lenses but so different in what they do it really isn't a fair comparison. I consider the 10-17 to be quite sharp, especially stopped down. It's been a very versatile lens for me and it's always in my bag. There are a lot of good rectilinear wide angle zooms from every lens building company out there but the DA 10-17 is unique. Regardless of what direction my photography takes in the future, I'll always keep a Pentax body just so I can use the 10-17. They are completely different lenses. You are trying to compare Swiss cheese to hard salami! Last edited by Ex Finn. ; 10-22-2014 at 05:09 PM. I've got the 10-17FE and considered the 12-24 (I missed it when it was 'reasonably priced' by about a week, then it jumped a huge amount). For me, if you want an extreme wide-angle you should go for the widest available. As I'm mostly interested in using it in enclosed/cramped spaces I prefer the fish-eye (you get perspective distortion between foreground/background anyway from a non-FE in this situation) the FE distortion appears more natural to my eyes.